Situated in the Vila Sol complex and close to the golf course, this new villa is set in a perfect location for a relaxing holiday, with the lively marina of Vilamoura and the beachfront bars of Quarteira at just 5 minutes drive away. 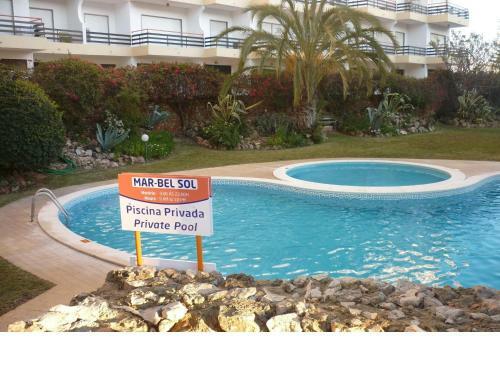 Located in Vilamoura, Apartamentos Mar-Bel Sol offers access to an outdoor pool. This self-catering accommodation features free WiFi. The property is 1.5 km from Vilamoura Marina. Located in Vilamoura, Lago Azul Vilamoura is set on a touristic resort and offers outdoor pools for adults and children. Surrounded by green areas, this apartment is 2 km from Vilamoura Marina and 2.2 km from Falésia Beach. Featuring panoramic views of the Victoria Golf Course in Vilamoura, this 5-star resort offers luxurious rooms with a private furnished balcony. Facilities include 2 outdoor pools, a golf desk, and a spa.